Would you like to add Rocker Arms? *: Please select YES, rocker arms with adjusters and nuts. [Add $310.95] NO, thanks. The Stage 3 cam is designed to work with some larger valves, port work, and upgraded carburetor or EFI system. This cam starts moving the power band a little higher in the RPM range (2500-6000). This is the biggest cam we recommend for a street application. It is used commonly in the race and hot street applications. This cam will require an upgraded valve train. LC Engineering is constantly striving to improve both the quality and performance of our products. We test our camshafts on the street, race track and off-road. The results are an improved line of camshafts that offer a broader selection of grinds, increased horsepower, and higher quality. 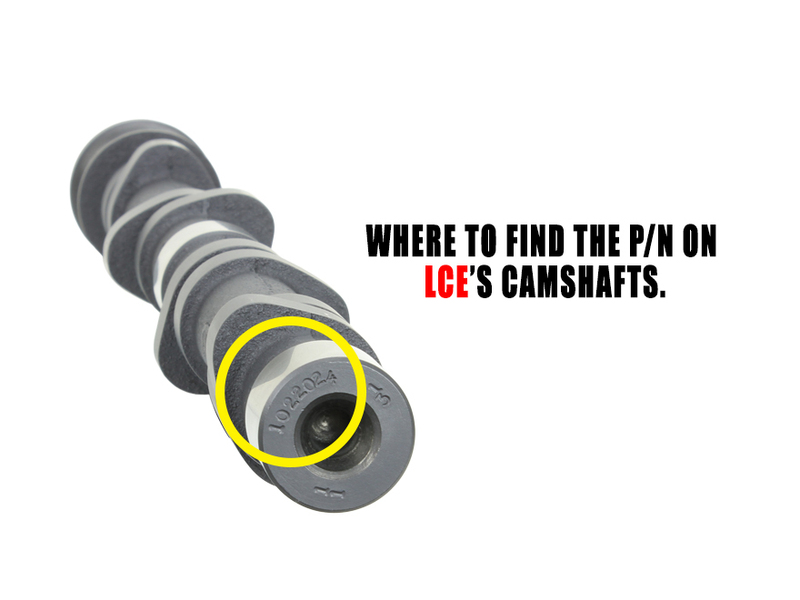 All LC Engineering Camshafts are ground on new billets and double heat treated for long life. Each has been designed for maximum torque and horsepower, specifically for the application. When comparing camshaft profiles, always reference the duration @ .050" valve lift. Choosing the correct camshaft and matching valvetrain components is crucial for maximum performance and reliability. LC Engineering offers a full selection of valve train components for your cylinder head. Buyer beware on reground rockers in the market. Regrinding the pad on the rocker can remove the heat treated portion of the pad making for a soft rocker. Rocker arms that are reground will not have the factory geometry of a stock rocker. To regrind a rocker will take care of the face surface but will do nothing to address the rocker shaft bore, a loose rocker bore will make adjustment difficult and will never be correct which is why we cannot warranty a camshaft unless new rockers are purchased with a camshaft. Will not work with the stock 22re computer. Requires Stand Alone Engine Management for fuel injected applications. Always check the valve to piston clearance and valve to valve clearance with this camshaft! Failure to install this cam with matched valve train components can cause engine damage. Requires our Pro Camshaft Kit Part# 1020000 in order to allow proper spring retainer to guide clearance for any cam that has over .450" lift or in any application that requires a sustained RPM of 6,000 or higher. LCE requires ordering rocker arms with the camshaft to retain a warranty and avoid any damage. I love my new cam, the lobe, the lift.. anything you can think of is amazing.. This cam and the rest of the LCEperformance parts I am running in my truck does wonders for my truck. I promise you she's a true head turner especially when I start her up!